The National Green Corps an extension wing of Andhra Loyola College and the Dept of Botany organized an AIDS Awareness Rally on 01-12-2015 to promote awareness among the public. Total 200 students, Dr. B. Siva Kumari and Mr. P. Srinivasa Rao participated in this Rally. 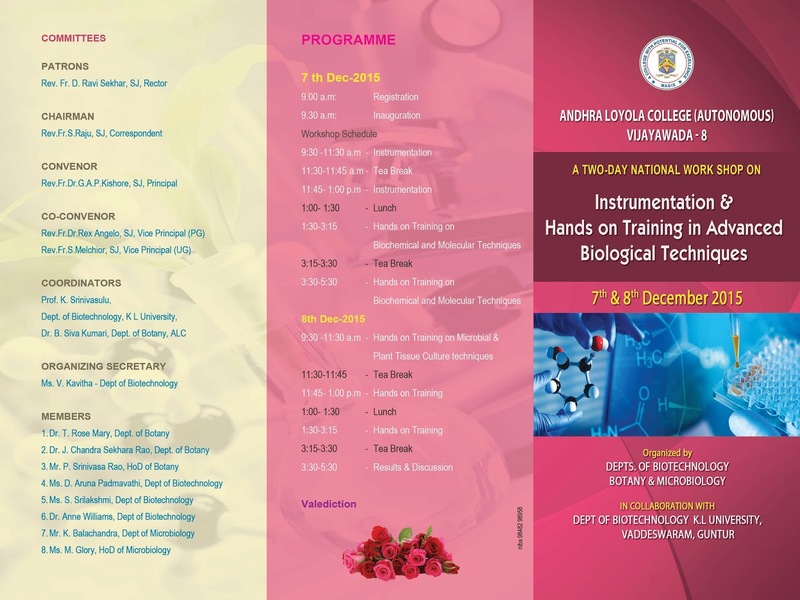 for Faculty to give them exposure in recent applied aspects on 7th and 8th December, 2015. Wishes and Greetings from Andhra Loyola College. REGISTER YOUR NAMES ON OR BEFORE 3rd DEC, 2015. The National Green Corps, Dept. Of Botany, Microbiology & Biotechnology organized a Guest Lecture on "Role of Traditional Medical Systems – Health" on 01-12-2015 in the Botany Lab. Dr. P. Satyanaraya sastry, Haritha Ayurvedic Center, Vij was the resource person.The invited speaker explained the importance of various medical systems in India and use of different types of gums. Rev. Fr. Rex Angelo, Vice- Principal of P.G delivered the words of welcome and motivated the students in his Inaugural talk and distributed the prizes to the prize winners. Dr. B. Siva Kumari explained the importance of plantation and also need of health awareness programmes. Mr. P. Srinivasa Rao, Botany HoD proposed the vote of thanks. 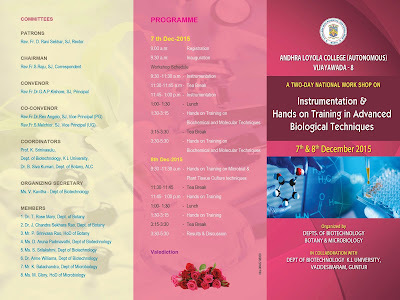 All the faculty members of Botany, Biotechnology and Microbiology were present in this programme. Department of Botany and National Green Corps of Andhra Loyola College organized Drawing and Slogan Writing Competitions on STOP AIDS on the Eve of World Aids Day on the 30th Nov, 2015 in the Botany Lab. Total 48 students for Drawing and 59 students participated in the Slogan Writing Competitions. Dr. B. Siva Kumari & Mr. P. Srinivasa Rao monitored this programme. Students- involved in the Slogan Writing competition. Total 52 students submitted the slogans on AIDS AWARENESS. Cultivated Mushrooms have now become popular all over the world. Mushroom cultivation can help reduce vulnerability to poverty and strengthens livelihoods through the generation of a fast yielding and nutritious source of food and a reliable source of income. Mushrooms both add flavour to bland staple foods and are a valuable food in their own right. National Green Corps & Dept. of Botany organized a one day hands on training workshop on ‘ MUSHROOM CULTIVATION, in collaboration with Tanusri Mushroom cultivars, for the Degree students on 27th Nov, 2015. Total 112 students from various departments attended in this programme. Mr. Jaya chandra and Dr. B. Siva Kumari were the resource persons, They explained the procedure for Mushroom cultivation. 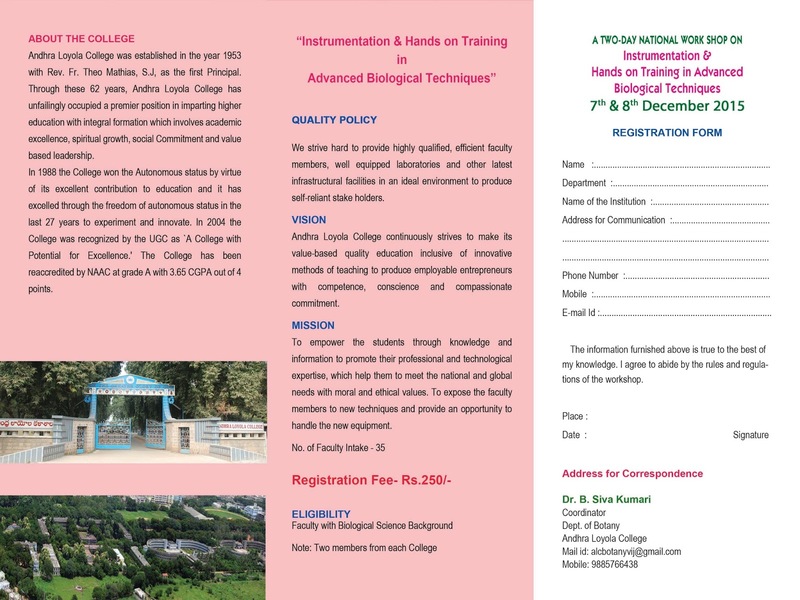 All the faculty members from Botany and Microbiology were participated in this programme. According to the Instructions of State Govt. Of A.P, on NEERU- CHETTU programme, the NATIONAL GREEN CORPS, NATIONAL SERVICE SCHEME & Dept. of Botany organized an Essay writing Competition on Sustainable Environment through Green technologies, on 4th November, 2015 in the Botany lab. 45 students participated in this event. 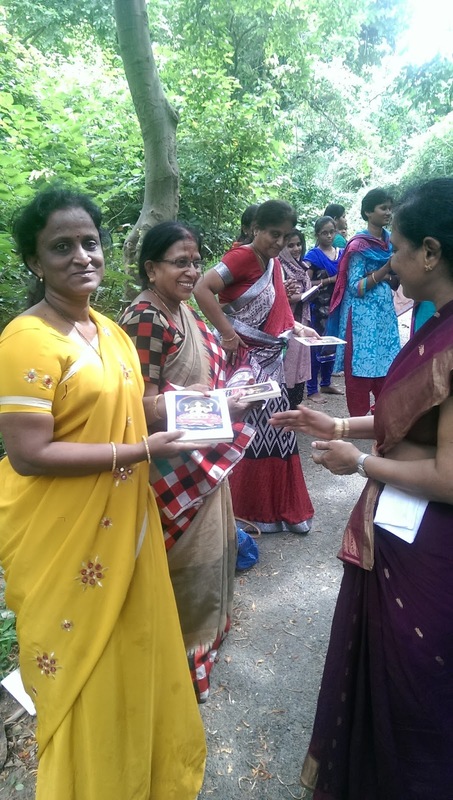 Dr. B. Siva Kumari, NGC COORDINATOR, Mr. P. Srinivasarao, Dr. G. Dayakar NSS coordinators monitored this programme. Dr. B. Siva Kumari, Dept. of Botany, Invited as a taxonomist to explore the Taxonomic and medicinal importance of different plants of Kondapalli Khilla to the U.G & P.G Ayurvedic students, A.P. Ayurvedic Medical practitioners and pharmacologists on 1st November, 2015, organized by the Haritha Ayurvedic Center, Vijayawada.